2010 Blade Silver / Titanium Gray-Black Two Toned Leather Z16 Grand Sport Heritage Pkg Convertible 3LT, Automatic, HUD, Navigation, NPP Dual Mode Exhaust and the GM Grand Sport Chrome Wheels with only 57k Miles! 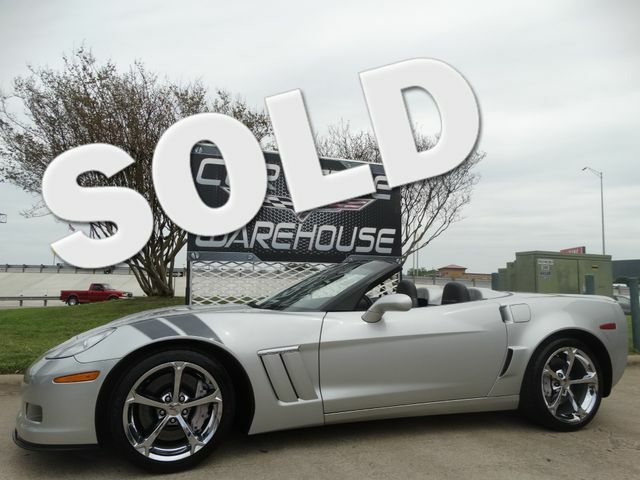 This Blade Silver C6 Z16 Grand Sport Convertible comes equipped with the 3LT Option Package, CD player, Bose radio system, HUD, power seat, power windows, power locks, power mirrors, dual electronic A/C, Navigation system, NPP dual mode exhaust and the Grand Sport GM Chrome Wheels. It is in excellent showroom condition and has been highly maintained.